"The Pygmies, or Mbuti as they call themselves, who live in the Ituri rainforest of Northeastern Zaire, are one of the few remaining hunter-gatherer cultures in the world. 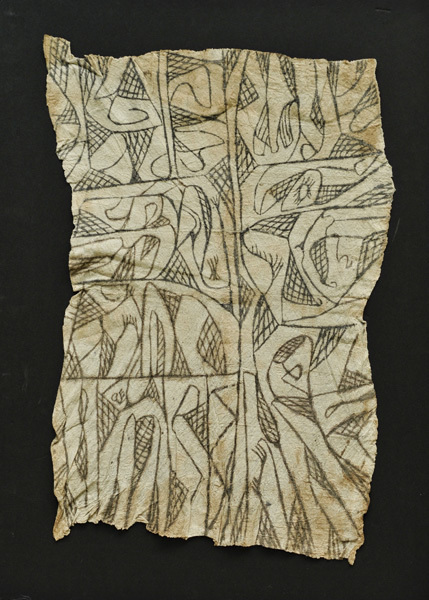 They have long been famed for their rich culture of music and dance, but until recently the bark cloth paintings made by Mbuti women have been virtually unrecognized in the West. 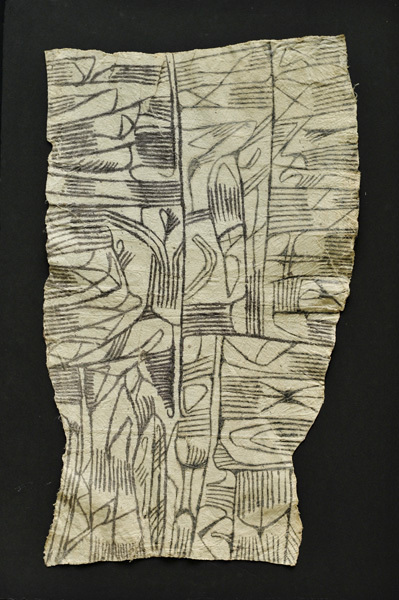 Originally these bark paintings were made as loincloths for ceremonies and dancing. 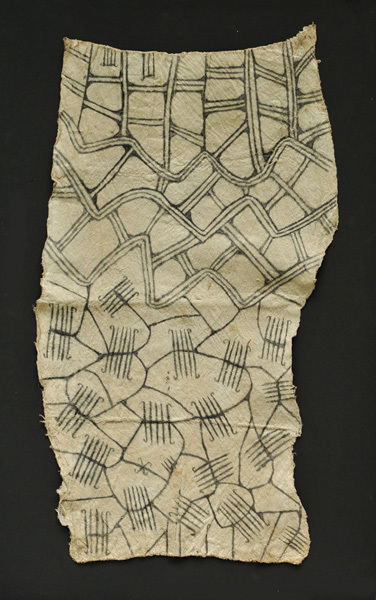 The bark paintings are made from the inner skin found between the sap and the bark of the ficus tree. It is a fibrous material that becomes resistant and supple the more it is beaten. The designs themselves are drawn on with the finger or with the help of a twig chosen for its stiffness or its flexibility. 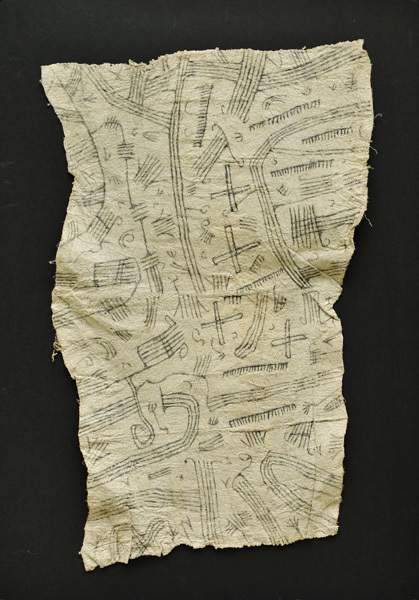 These drawings are sophisticated abstract compositions, embodying the qualities of imporvisation associated with African Art and music. "